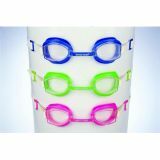 4-pc. 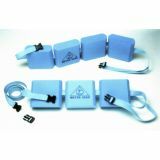 Adult belt float - flotation for training or aqua aerobics. 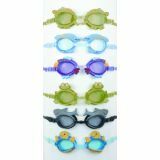 Soft, comfortable closed cell eva foam. 60-in. Belt buckles on easily. Adult combo plc. 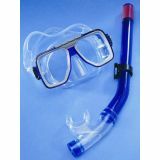 mask & snorkel- non-return purge valve for quick clearing. Double feather plc. skirt for comfort. Pac mouthpiece. 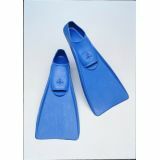 Blue Fins- size: 0-0 - all-rubber Fins. Soft grade rubber pocket. Hard rubber blade. 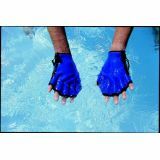 All-neoprene fingerless force gloves-large -zipper closure w/lock. All neoprene construction. Webbed hand. Increased hand resistance. 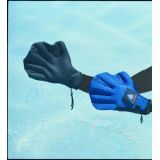 All-neoprene force gloves-large -zipper closure w/lock. Neoprene palm. All neoprene construction. Webbed hand. Increased hand resistance. 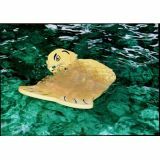 Animal Mat, 48" x 36"
animal mats-yellow sea otter- 48"x36". Soft, comfortable and non-abrasive foam. Closed cell eva foam. Will not chip, break or absorb water. 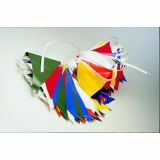 Backstroke flags- blue/gold - 96 pennants per 100' string. Durable, heavy-duty vinyl. Meets all regulations. 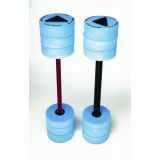 Bar float - 27 bar with 6 buoys is non-abrasive to skin and fabric. Durable closed cell eva. 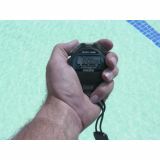 Basic single tier stopwatch - water & impact resistant. 1/100th second accuracy. Fast 1-2 finish, day, date, alarm and weekday.